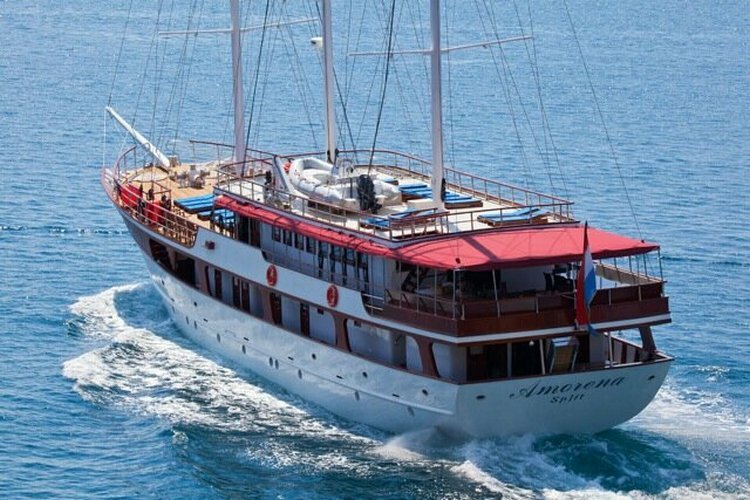 Gulet(mini cruiser) Amorena is one of the most luxurious gulet in Croatia. Amorena look almost the same as the boat Barbara, offering the same quality of service and cruising. 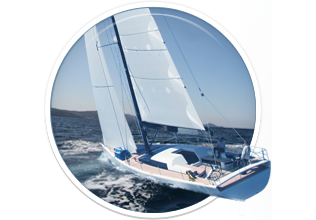 Gulet Amorena is a three master motor sailor built in Croatia. 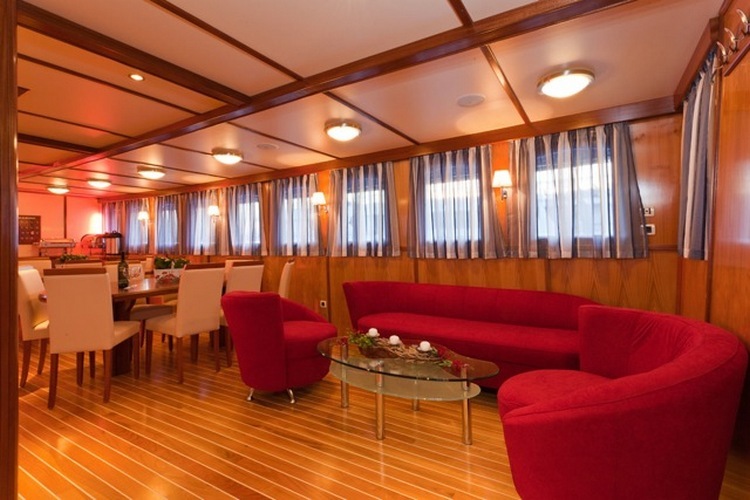 She can accommodate up to 38 guests in 19 luxurious cabins. 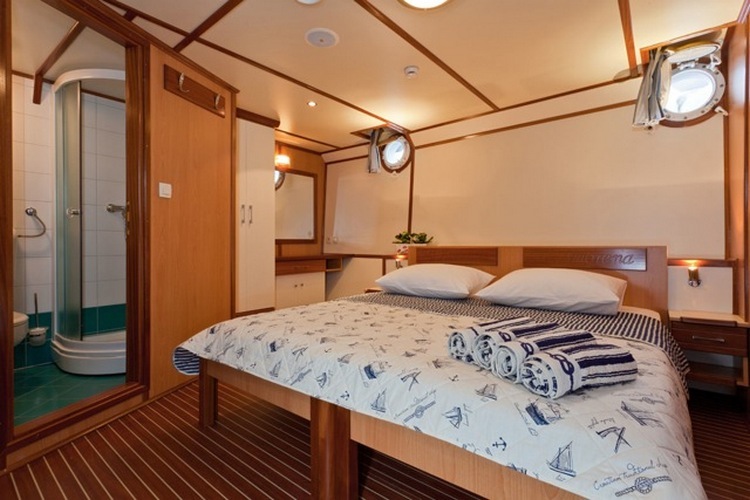 On the luxuriously decorated sailing ship Amorena we organize cruises on the Adriatic, in the duration of seven to fourteen days. According to your wishes we can also organize weddings, daily or night- excursions, and business seminars in a relaxed atmosphere… If you want an active holiday we organize cycling routes, rafting, jet-ski driving, diving and fishing. Taste the Mediterranean with the sea specialties and a number of the famous Croatian wines. Plan the destinations on the Adriatic you want to visit yourself. Experience the Croatian coast in the best way, sailing on Barbara and the skilful crew would make sure that the time spent on this cruise becomes an unforgettable journey. If you want to reward your employees or the organize of a team building event she is a right choice. 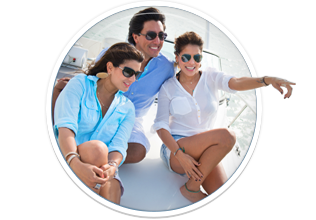 Surprise your family and friends with an unforgettable vacation, tailored according to your wishes. Choose the cruise for your holiday, sail with us, leave your cares behind, relax and swim in the wonderful bays of the crystal-clear Adriatic Sea, give yourself over to the unfailing helm of our captain and sail away to a new adventure. Adriatic Sea, give yourself over to the unfailing helm of our captain and sail away to a new adventure. 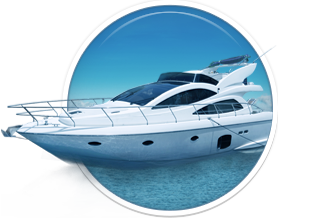 As a special cruising route, we also have the possibility to cruise to Montenegro. The extra cost of Montenegro route is 2000 EUR. There are 40 seating places. Fully air-conditioned (cooling and heating). All three main meals are served: breakfast, lunch and dinner. There are two stewards in attendance who have for their use a separate counter in the restaurant. 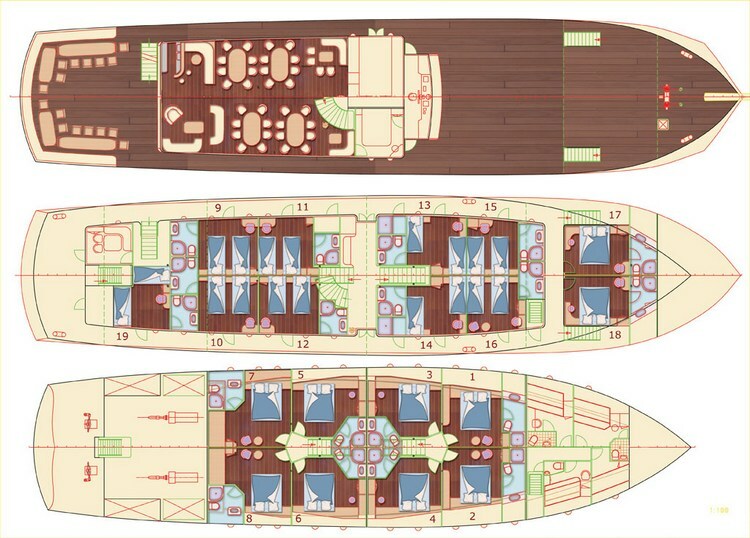 6 double bed cabins (14,5 m2). 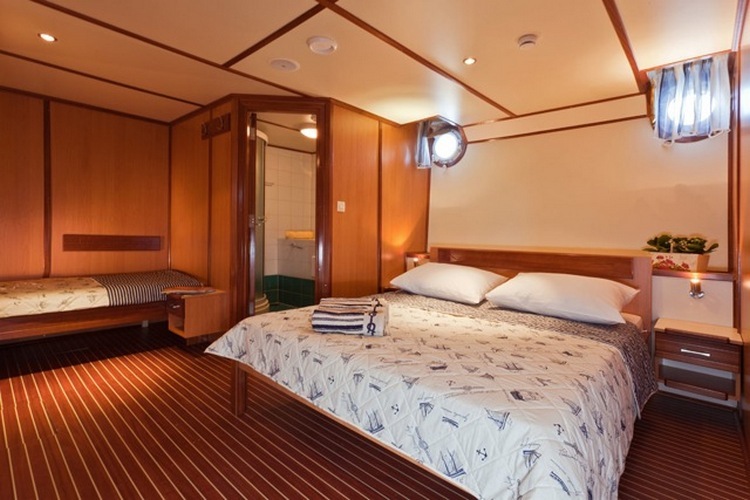 2 double bed cabins (12,5 m2). 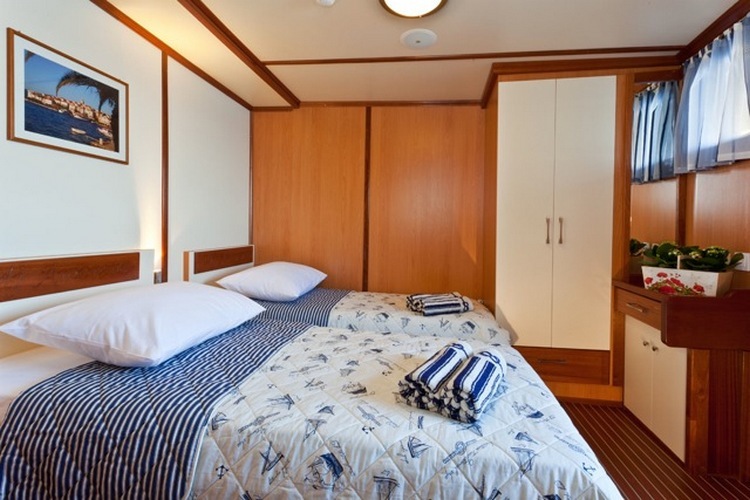 These cabins can be arranged as twin bed. Terrace of 55 m2 for 40 persons. 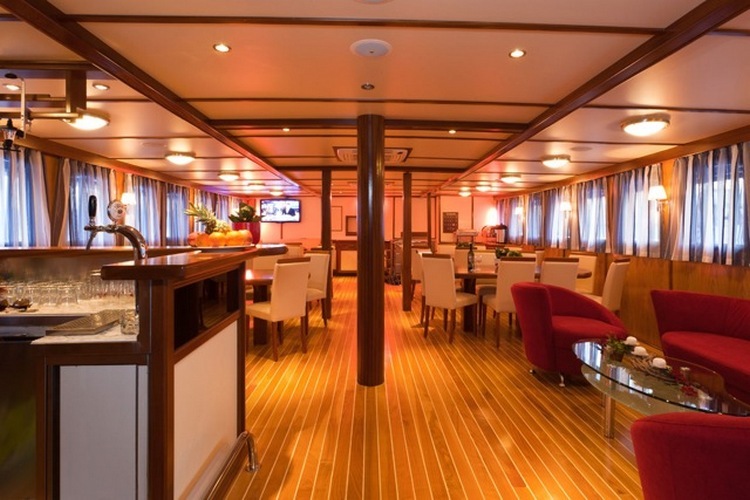 On the last deck is bar and restaurant (for breakfast, lunch and dinner, reserved for 40 seats, air conditioned), area for sunbathing (220 m2), and massage pool for 6 persons. Our guests can use the Jet Ski (which is charged as extra cost). * included Dalmatian dinner last night of the cruise. Use of hydro-massage pool for 6 persons. 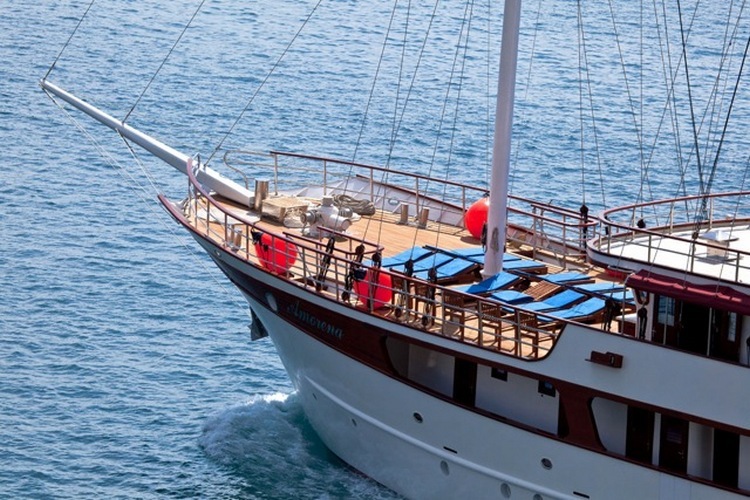 Here you can find basic information about Gulet Amorena. 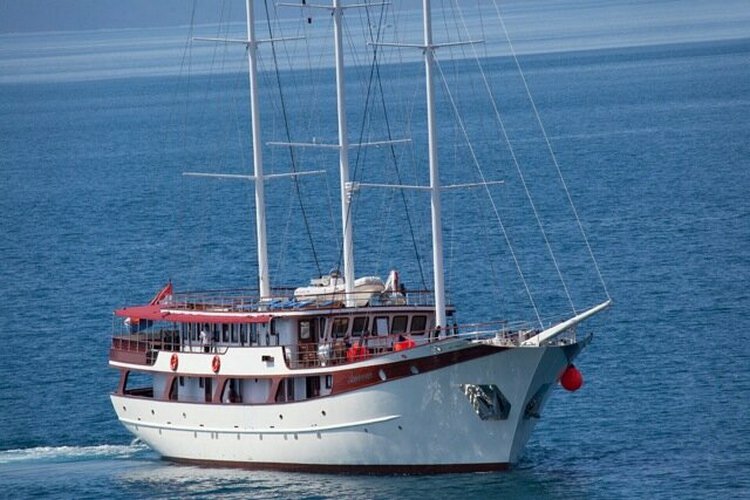 Other specifications, can vary from boat to boat, therefore we recommend to search for particular Gulet Amorena from our database, in the destinations of your preference.